Dr. Luvsanvandan Manaljav is the Chairperson of the Board at the Institute of Education and Training. Dr. Manaljav has had professional experience as a lecturer, principal and director at various higher educational institutions in Mongolia. In addition, she has worked as a visiting professor and researcher at the Berlin Free University and Taipei Chengchi University, and is also familiar with the higher education systems and teaching methodologies of two English speaking countries: Australia and the USA. Dr. Manaljav holds a Ph.D. and is a Professor in Linguistics. Her fields of interest are philology, language teaching methodology and translation theory. She has a written numerous research articles and conducted various studies in the above fields. Sarah Johnston is from Australia and the Executive Director of the Institute of Education and Training, Mongolia. She holds a Masters degree in Adult Education and has extensive experience across a wide range of English language programs including general English upgrading, Academic English, IELTS preparation and Workplace training. Sarah has worked as an English language teacher, manager, trainer and examiner in many other countries including Thailand, Vietnam, Afghanistan, Libya, South Sudan. 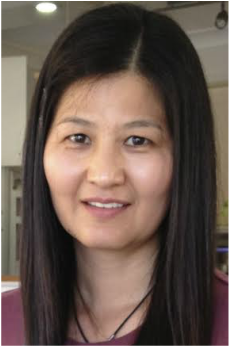 In Australia she designed and delivered pre-course training for overseas students entering university and in Mongolia one of her key roles over the last 5 year has been the design, development and delivery of the AAM English Language Training program. Sarah is particularly interested in making language training relevant, assisting students to “learn through doing” and helping teachers use authentic materials to supplement their teaching programs to engage and motivate students. Shin﻿﻿﻿ebayer (Shine) Dagva was appointed as a member of the board in 2012. Shine holds a BA and MS degree in education and linguistics in Mongolia, and recently completed her master's degree in the UK, in the field of media and international development. Shine has over 15 years of professional experience in various national and international organisations such as the Open Society Forum, UNDP projects, the US Embassy, as well as in companies such as Rio Tinto and Oyu Tolgoi LLC. To date, her career has been principally concerned with leadership, human resources, project management, multicultural communication and networking in non-governmental organisations, diplomatic missions and the business sector. Shine is an alumnus of the UK Government's Chevening scholarship program, and a John Smith Trust fellow. Altantsetseg (Alta) Genden is a Board Member of the Institute of Education and Training. She holds a Masters degree in Educational Studies, and has taught at various Mongolian colleges and universities. Alta has worked with English language learners of various ages and skill levels, and especially enjoys teaching IELTS preparation, workplace training, and teaching grammar/listening/speaking strategies. Alta Genden is interested in doing research and is also committed to her own professional development. 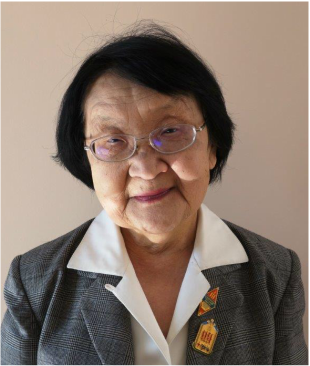 Dr. Oyuntsetseg Namjildorj is one of the founding board members of the IET. In 2011, she completed a PhD in Educational Studies with a focus on English for Specific Purposes (ESP) curriculum innovation. In addition, in 2012, she completed her Master’s degree in Educational Management and Leadership at Sydney University, Australia, on an Australian Leadership Awards Scholarship. As a researcher, Oyuntsetseg has undertaken research projects in fields such as: ESP curriculum design and teaching methodology, educational management and leadership, teacher training, learning styles of Mongolian students, and inter-cultural as well as cross-cultural aspects of teaching English. In addition to conducting research, she completed an internship at Sydney University’s Centre of English Teaching (CET) during her studies in Australia. Therefore, she learnt how Australian institutions run English language training programs and, based on this, realized some ways Mongolian English training programs could improve. Dr. Namjildorj has worked as a lecturer at the University of the Humanities for more than ten years. She has also worked as a teacher and admin coordinator for the English language training program for Australian Awards Scholarship awardees for five years. 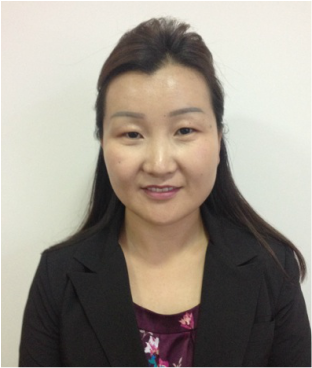 One of her interests is teaching test taking strategies (IELTS, TOEFL, TOEIC) to Mongolian students. Dr Mark Johnston helped to set up the Institute of Education and Training (IET), of which he is a member of the Board of Directors. Mark is a former senior executive in the Australian civil service and an internationally recognized adviser on public sector leadership, especially on collective government decision-making and senior civil service management to drive implementation of national development priorities. For more than a decade he was a senior executive in the Australian Public Service, in the Department of Prime Minister and Cabinet and other federal Ministries. Since then he has worked closely with Prime Ministers and Presidents, Ministers and senior civil servants in many countries across Asia and Africa, including Mongolia, Thailand, Viet Nam, Timor-Leste, India, Pakistan, Afghanistan, Tajikistan, Egypt, Ethiopia, Ghana, Liberia, Libya, Sierra Leone and South Sudan. For example, through these projects he has played key roles in leadership training and executive team building for Cabinet Ministers, as well as training programs for senior civil servants. Mark is Executive Director of the Africa Cabinet Government Network, which he was instrumental in establishing. This Network, which has been granted 3 year funding from the UK Department of International Development, brings together Cabinet Secretaries from across Africa to build capacity to make sound policy decisions and get them implemented. He has been active in public sector development in Mongolia since 2003, working with the Civil Service Council to develop Mongolia’s Civil Service Reform Strategy, approved by the Parliament in 2004, and playing a leading role in successive World Bank projects to support implementation of the Strategy. In 2010 he was employed by the Australian Government to help design the Mongolia Australia Scholarship Program, which doubled the number of scholarships for Mongolia and opened up eligibility to universities and the private sector. Over the years he has contributed to leadership development in Mongolia, most recently delivering a training workshop for policy-makers on behalf of IET and the Academy of Management (now Academy of Governance). Dr Johnston has also been a lecturer at a number of other leading institutes, including the National Institute of Development Administration (NIDA) in Bangkok and India’s Lal Bahadur Shastri National Academy of Administration (LBSNAA). His PhD in Public Policy is from Harvard’s Kennedy School of Government.